There are SO many options out there of things to try, things to eat, ways to exercise, activities to pursue. You have limited time, and frankly, you don’t want to waste it! We’re going to explore some of these options and help you determine what the benefits of these choices might be, and whether you want to pursue it, or wait for the “next best thing”. Let’s start this series off talking about a current super food fad… KALE. Have you ever tried it? Many people would pass it over as just “another green”. But is it? 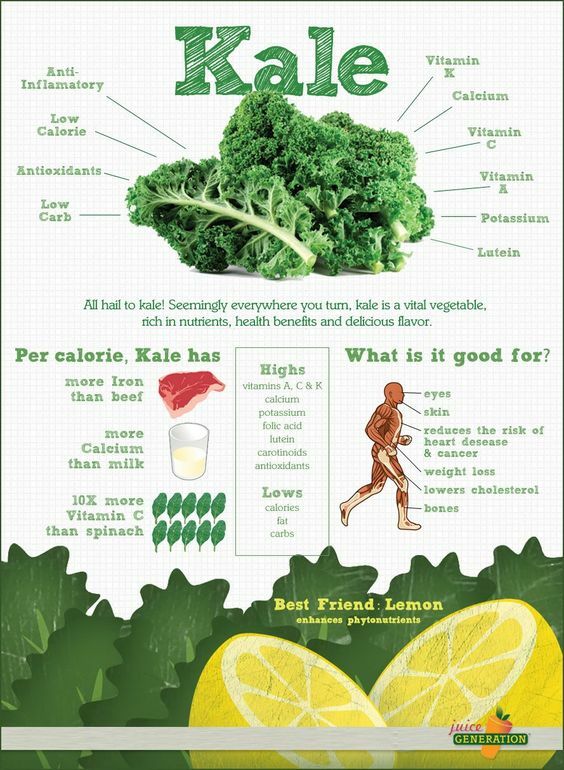 Let’s take a look at some of the incredible benefits of kale and how to incorporate it into your diet! That’s a lot of power packed into a little bit of green stuff! But, how can you use it? Let’s check out some awesome kale recipes for you to try out this week! Kale Apple Carrot salad: Is kale a little strong for your taste buds? Have no fear, the “chiffonade” method is here! Chicken & Kale Vegetable Soup: Cooler weather is coming, for those of you in the northern hemisphere. Check out this easy soup made with bone broth (another super food we’ll explore in this series!). And good news, this one is paleo and gluten free too! Parmesan Kale Grilled Cheese: Have some carbs to spare for lunch? Try this healthy twist on an old classic. Do you have a favorite kale recipe? Join the conversation on Facebook or Twitter and let us know! !